IF YOU ARE LOOKING FOR THE PERFECT PLACE FOR YOU, LOOK NO FURTHER!!! THIS THREE BEDROOM TWO BATHROOM APARTMENT WAS MEANT FOR YOU!!! BESIDES FOR THE SHARED DECK, THERE IS *LAUNDRY IN BUILDING* AND MUCH MORE!!! DON'T WAIT TILL ITS TOO LATE!!! SCHEDULE A SHOWING ASAP WITH ONE OF BROOKLIV'S AGENTS!!! 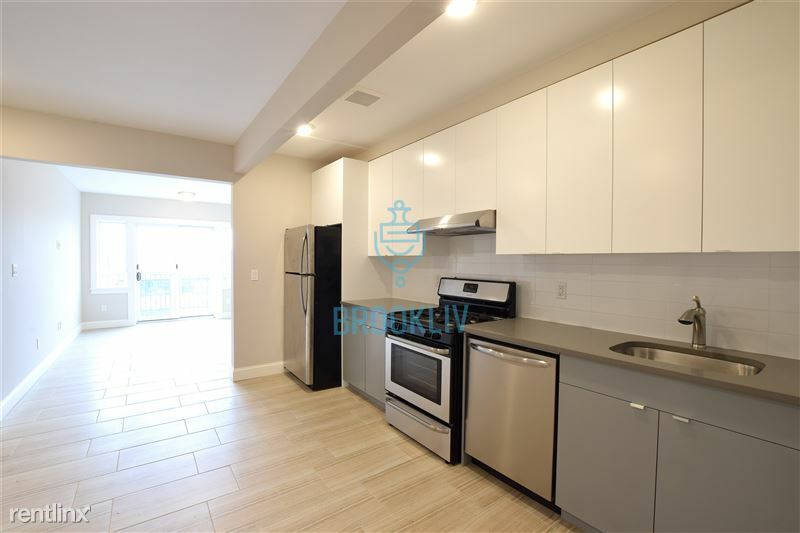 STUNNING BRAND NEW SPACIOUS THREE BEDROOM TWO BATHROOM APARTMENT IN A GORGEOUS BUILDING IN PRIME CROWN HEIGHTS!!!! Natural sun light throughout the unit! Hardwood floors throughout the ENTIRE apartment! TWO Full Spacious Bathrooms with a TUB! Right near tons of nice restaurants, shops, grocery stores, bars and much more! Right by the 2,3,4 and L trains; a ride to Manhattan in minutes! Call or email today for a PRIVATE showing before it's GONE!!! !